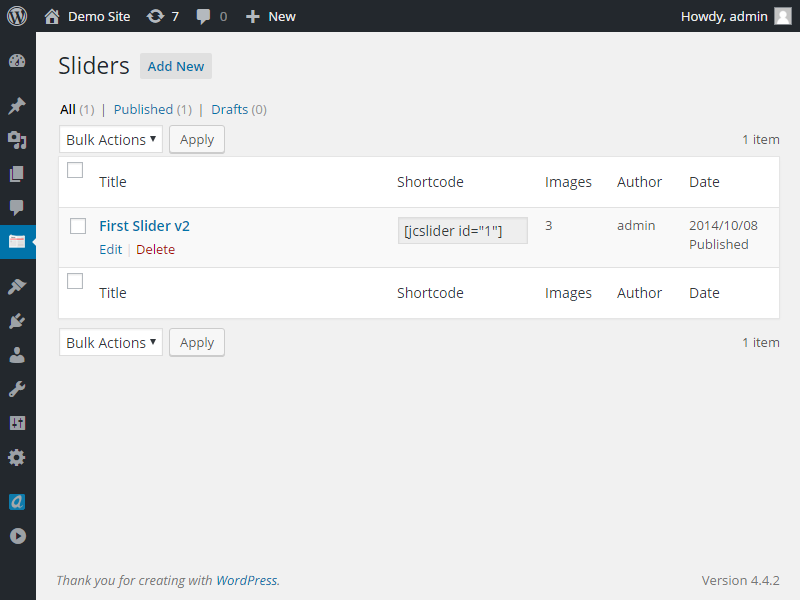 Yet another content slider for WordPress. 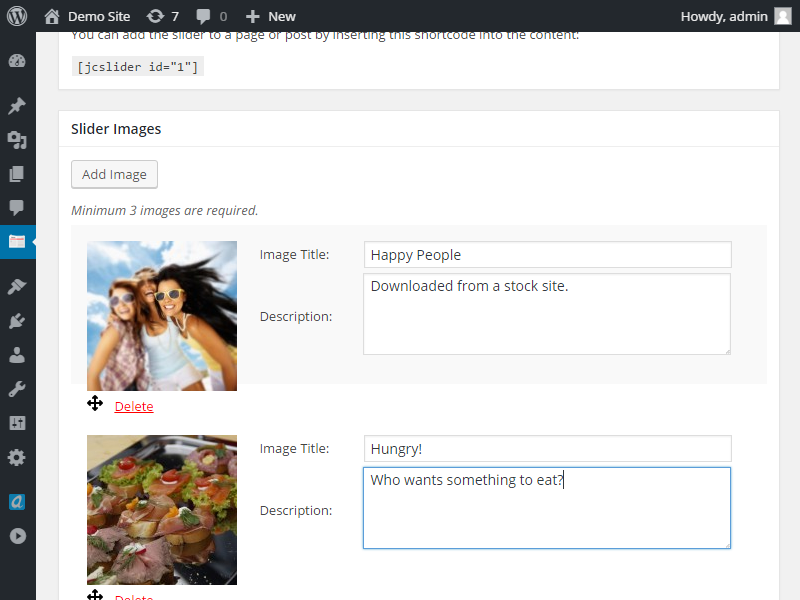 Yes, it's another content slider for WordPress that also allows the user to monetize galleries. Sliders are a very popular component of blog posts. Especially it's great for displaying galleries with lots of images. It does not eat up a lot of space and is compact. The plugin allows the user to create sliders with unlimited number of images. The look and feel of the slider can be customized. What makes this plugin special is that the user can monetize galleries / sliders. Every slide also includes an advertisement. 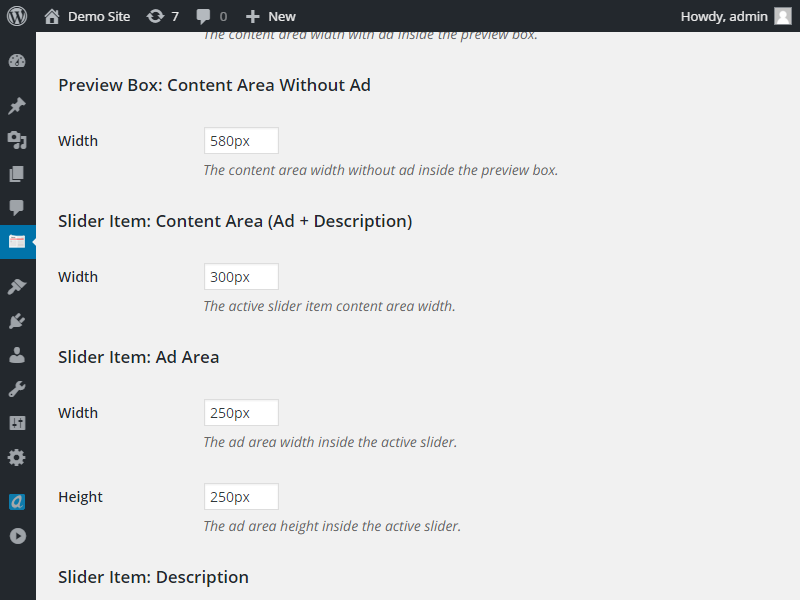 The user can insert any HTML code (for example Google Adsense) inside the ad container.